In this page we are going to deal with the words in math which start starting with the letter Q. We have many words in math which start with the letter “Q”. Now , we are going to consider the following words in math which start with the letter “Q”. When we see the above words which start with letter "Q", we feel ourselves that we already know those words or they are much familiar to us. A sector one quarter of a circle , or sector of a two dimensional Cartesian coordinate system. Quadratic equation A polynomial with second degree is called quadratic equation. General form: ax²+bx+c=0, where a,b and c are real. 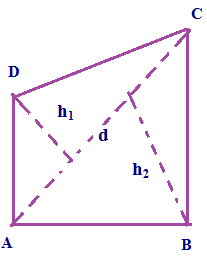 A polygon with four sides and four angles. Square, rectangle, rhombus, parallelogram, kite, trapezium all are some forms of quadrilaterals. A number four times greater as another. That is to multiply or increase by four times. Descriptions or distinctions based on some qualities or characters. A particular or infinite amount of anything.Example: A small quantity of milk. One fourth of a quantity. One fourth of Canadian and American dollar. It has been written as 1/4. Polynomial of degree 4 is called quartic. Example:4x⁴-3x³+2x²-x+6. In statistics, quartiles are the three points that divide the data into four equal parts. Median, lower quartile and upper quartile are those three points. A polynomial(function) of degree 5 is called quintic function. Example: x⁵-x⁴+x³+x²-x+3. The result of division. The number of times one quantity is contained in another. Example: The quotient of of 6 divided by 3 is 2. From a set of data, the 20th and 80th percentiles are called the quintiles. Multiplying any number by a factor of 5. We will update this page, 'Math dictionary-q' regularly. We welcome your valuable suggestions. Please use the box given below to express your opinions or suggestions.